S is a garlic fiend. 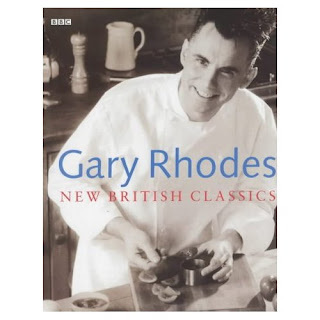 I just had a little bet with myself - I was sure that if I were to ask him what his favourite food was (yes, food, not even flavour) he'd say garlic, and I was right, he did. Such is my confidence in his garlic obsession that I knew that he'd be very happy with a series of garlic themed presents last Christmas and I made a whole pile of them - confits, sauces, jams - the only thing which didn't particularly work was the garlic pickles as they somehow lost their garlic flavour in the cooking. Skin, trim and devein the cloves from 2 heads of garlic. Steam for 15 mins over rapidly boiling water, then puree. Whisk with 1 egg yolk and 2 whites. Add 1 tsp potato flour and whisk again. Season. Add 4 tbsp creme fraiche or fromage blanc and whisk again. Grease 4 ramekins with butter. Divide the mixture between the ramekins, cover with foil and steam for 15 mins - 10 mins with the steamer lid fully on, 5 with it half off. Turn out to serve. I would like to know why potato flour is specified, but it does work, and as I am not particularly a fan of wheat or corn flour sauces and custards, I'm happy. S loved it, although he prefers the zing of raw or sauteed garlic, to the creaminess of steamed or poached. Jeremy recommends serving it with roast lamb, but we ate straight out of the ramekins, and took a leaf out of Rowley Leigh's book and made a version of anchovy toasts. I had a bit of a culinary disaster on Boxing Day. I was, as usual, trying to use up father-in-law's fruit and decided to make an apple cake. I like the sort which are often called "Swedish" - slices of apple, coated in cinnamon and demerara sugar and suspended in a sponge. 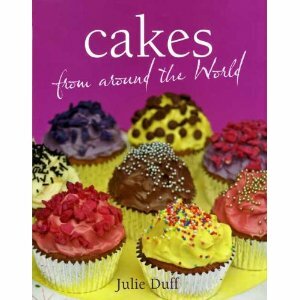 Being short of time, I grabbed baking books off the shelves instead of Scandinavian ones, and found Julie Duff's Pennsylvanian Dutch Apple Cake. Being even shorter of time, I threw all the ingredients in a smaller, deeper cake tin and hoped for the best. The cake rose beautifullyand was firm to touch, a skewer came out clean, there was a little shrinkage away from the tin and it smelled delicious - everything you hope for when you take a cake out of the oven. Being shorter still of time, I left it in the tin and put it in a bag while it was still hot - by the time we'd got to my brother's house for lunch, the cake had sunk dramatically and turned out to be totally raw in the middle. I wasn't given the chance to hollow it out and serve it as a ring cake (my usual save) - instead everyone stood around the table, cutting themselves pieces from around the edge until they got to the uncooked stuff. My brother baked the rest again later. As everyone agreed that the outer ring of the cake was delicious, I thought it was worth making again, so did so today with my latest batch of apples. These weren't too bad - I have no idea where they came from, but the texture is crisp (no pappiness) and there is some concession to flavour. To be on the safe side, I decided to bake it in a brownie tin, thus making it slightly shallower than suggested in the recipe. This was my only deviation - a batter was made with the usual suspects but with oil instead of butter and included vanilla and lemon juice. The apples were coated in sugar and cinnamon and layered with the batter. I sprinkled a good amount of demerara sugar on top too. And, fortunately, today it cooked through. ETA: Ugh, oil though. I didn't have vegetable oil when I made it on Boxing Day so used melted butter instead and it had a lovely rich, buttery flavour. Today I stuck to the recipe and used vegetable (sunflower) oil. No comparison. I always use vegetable oil in banana bread and it's fine, but here - never again. My father-in-law is one of those people who knows exactly when his local supermarket reduces everything to around 10p, and makes a daily trip for bargains. Whilst he does occasionally come away with some gems, this practice generally drives us a bit nuts. My mother-in-law suffers as she can never find any space in her freezer, packed as it is with stinky fish none of us want to eat (due to a combination of ethics and self preservation). Father-in-law prides himself on his cast iron stomach and how he can eat food days, if not weeks, out of date. This, of course, is fine if done sensibly. I myself have used eggs 3 months past their bbe date because they were still fresh enough to use in baking, and I generally take no notice of dates on anything other than dairy and meat. However, father-in-law's tastebuds and sense of smell are such that he doesn't realise when cream has turned, or when a cake tastes musty. This used to particularly infuriate my OH when I was pregnant, and was being encouraged to eat all kinds of nasties which were "only out of date by a week!" Lately it has all been about fruit and he's been coming round with carrier bags filled with the stuff. Sometimes he's got some brilliant bargains, such as lots of organic citrus. However, usually we are presented with dozens of non fairtrade bananas (I feel guilty about using them, but even guiltier for wasting them, what to do?) and imported orchard fruits. A couple of days the haul included some peaches (most had frozen at some point and had gone grey and soggy) and some South African plums, the size and texture of a snooker ball. In her Fruit Book, Jane Grigson says late winter plums from South Africa are "of a beauty that holds your eye" with "a subtle charming flavour which has managed to survive the exigencies of transportation." Alas mine are of the earlier sort which "are sweet and acid and little more." On this occasion, apart from the reminder to extract the kernel from the stone for extra flavour, Jane Grigson isn't much help. My absolute favourite thing to do with plums is to make Hugh Fearnley Whittingstall's plumpote and by product of plum dipping sauce from The River Cottage Year. However, I save the best plums for that. At the moment, I don't feel like pie, or pudding or yeasty cakes. Instead, I settle for simple poached plums and hit on a recipe from Silvena Rowe's Feasts. Normally I would use spices such as cinnamon, ginger or star anise, this time I am following her Bulgarian inspired recipe to the letter. The halved and stoned plums are simmered in a sugar syrup to which cloves and lemon juice have been added. When the plums are soft, add rose water to taste. 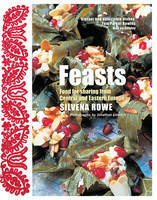 Silvena Rowe serves this with rose water sorbet, which I may try in the summer. For now, it is lovely with a warm vanilla custard or some thick Greek-style yoghurt. Not really a recipe, more of a suggestion. I bought a toaster yesterday. Up until a couple of years ago, my toast was made on an Aga and since moving back to London, I've always used the grill or my Breville panini maker, which is always a bit of a faff when all you want is hot buttered toast in a hurry. I'm not sure why the toasterless situation suddenly became untenable. It could have been because I watched Toast last week. More likely, it's because I found one reduced to half price in Sainsbury's. A Breville - not the best of toasters, but, according to Which?, not the worst, either. Anyway, today I found myself in possession of a toaster, some white sourdough, the last remaining slices of rib of beef and best of all, a huge beakerful of beef dripping - all that is required for Mr Henderson's Cold Roast Beef on Dripping Toast. I love dripping - used to covet my granny's stash when I was a child. She kept it in a china cup in the fridge. Her roast beef was dreadful - a small joint would go into the oven before church and wouldn't come out until every last drop of moisture had been extracted from it. She'd then shave it into transparent slices (you could tell she'd had eight children to feed) and douse it in Bisto gravy (also made in a china cup). None of the roasting dish juices went into the gravy - they were all reserved for the dripping pot, the saving grace of her roast. Bread was buttered, then spread with dripping whilst still on the loaf, then shaved as thinly as the beef and sprinkled with salt. If we were lucky, we'd get a scant taste of the beef jelly too. 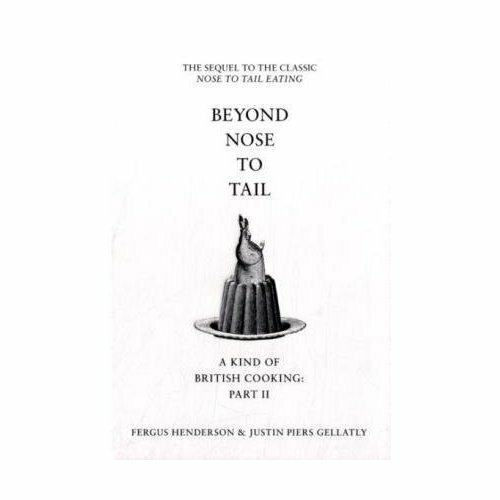 Back to Mr Henderson; he suggests spreading beef dripping on buttered toast and then warming it under the grill for a minute or two to make sure it has melted - an excellent tip as cold dripping is claggy and will coat the mouth unpleasantly. He sprinkles with sea salt and then adds roast beef. Simplicity itself. I will, however, swap his favoured pickled walnuts for horseradish.